Enzo Bearzot, the pipe-smoking coach who plotted Italy’s victory at the 1982 World Cup in Spain and at the same time changed the way the national team traditionally played, was born on September 26, 1927 in the Friuli-Venezia Giulia region of northwest Italy. 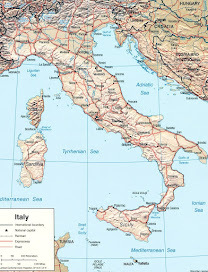 Italy had a reputation for ultra-defensive and sometimes cynical football but in 44 years had won only one major competition, the 1968 European championships, a much lower-key affair than the current four-yearly Euros, which Italy hosted. But Bearzot, who was an admirer of the so-called ‘total football’ philosophy advanced by the Dutch coach Rinus Michels, with which the Netherlands national team reached two World Cup finals in the 1970s, albeit without winning. Italy did not impress at the start of their Spain adventure, recording three fairly lacklustre draws in their group matches, and were expected to be eliminated in the second group phase when they were obliged to play Argentina, the holders, and a Brazil side brimming with brilliant players. 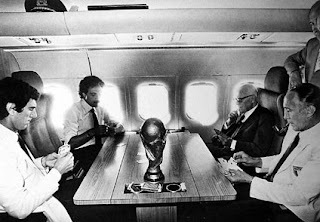 Bearzot and the team attracted scathing criticism in the Italian press, to the extent that the players and management refused to speak any more to journalists during the tournament, imposing their so-called silenzio stampo - press silence. Instead, they made their critics eat their words by beating both Argentina (2-1) and Brazil (3-2), the latter hailed as one of the greatest World Cup matches of all time after Italy led twice and Brazil equalised twice before Italy took the lead again 16 minutes from the end and goalkeeper Dino Zoff pulled off a miraculous late save to deny Brazil another equaliser, which would have taken them through to the semi-finals on goal difference. All three goals against Brazil were scored by Italy’s wiry centre-forward, Paolo Rossi, whose selection had brought Bearzot more criticism. Rossi had just returned from a two-year suspension for alleged match-fixing, which was controversial enough. He was also a long way behind the rest of the squad in fitness, yet he had scored three goals in the World Cup finals in Argentina in 1978, from which Italy were eliminated by the Netherlands in their final second-phase match, and Bearzot wanted him on board. 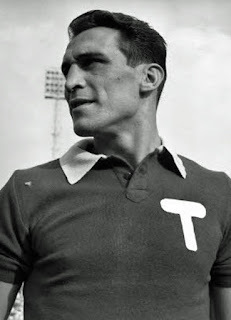 Not content with destroying Brazil’s hopes, Rossi scored both goals in Italy’s 2-0 semi-final victory against Poland, and another in the 3-1 win over West Germany in the final, to take the tournament Golden Boot award as top goalscorer, with six. Although Italy delighted their fans with the gusto of their attacking, they did not entirely abandon tried and trusted methods. Deployed as an old-fashioned man-marker, Claudio Gentile fulfilled his duties to the letter, kicking a young Diego Maradona out of the match with Argentina and doing a similar job on the Brazilian magician Zico, albeit at the cost of a booking that ruled him out of the semi-final. The final confirmed Bearzot’s transformation from villain to hero in the eyes of the press and earned him four more years in the job, although the 1986 World Cup in Mexico earned him renewed criticism, this time for showing too much faith in his 1982 players, who had lost some of their edge and went out to France in the round of 16. 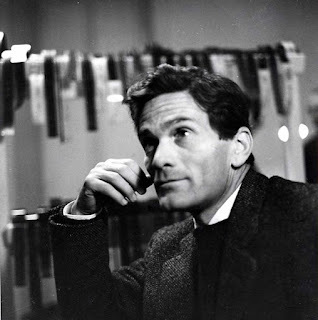 Bearzot resigned after that defeat but his 104 matches as national coach - seven more even than the legendary Vittorio Pozzo, who was in the dug-out for 97 games - is unlikely ever to be surpassed. Born in the village of Aiello del Friuli, about 45km (28 miles) northwest of Trieste and about 25km (16 miles) southeast of Udine, Bearzot was the son of a bank manager who had little interest in football and whose wrath he risked by missing two crucial university exams to play in the first team for his club, Pro Gorizia, ruining his chances of completing his degree. Tall and strongly built, Bearzot usually played as what would now be described as a defensive midfielder. In his club career, he helped the Sicilian team Catania win promotion to Serie A and had long spells with both Inter Milan and Torino. He made one appearance for the azzurri - the national team. He took up coaching with Torino but his only head coach role before he joined the technical staff of the Italian Football Federation (FIGC) was with the Serie C club Prato. This lack of club experience meant that, when he worked his way through the ranks to be under-23 coach and then senior coach in 1975 meant there was scepticism from the start over his credentials for the job, even among his fellow coaches. Bearzot’s success, however, silenced them all. After Mexico ‘86, he disappeared from football for the most part, never taking another coaching job. He rejoined the FIGC as president of the technical sector in 2002 and was a mentor to Marcello Lippi, who was to match Bearzot’s achievement by winning the World Cup himself as coach in 2006. Bearzot retired for good in 2005. 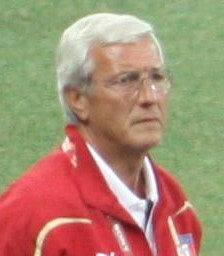 He died in 2010 after a long illness and was buried at the church of Santa Maria al Paradiso in Milan, where goalkeeper Zoff and midfielder Bruno Conti were among the pallbearers, with Rossi part of a congregation that included Antonio Cabrini, Giuseppe Bergomi, Alessandro Altobelli and Marco Tardelli among other members of the 1982 World Cup winning team. 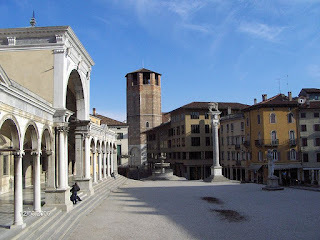 Udine, the nearest city to Bearzot’s home village of Aiello, is an attractive and wealthy provincial city which is the gastronomic capital of Friuli. 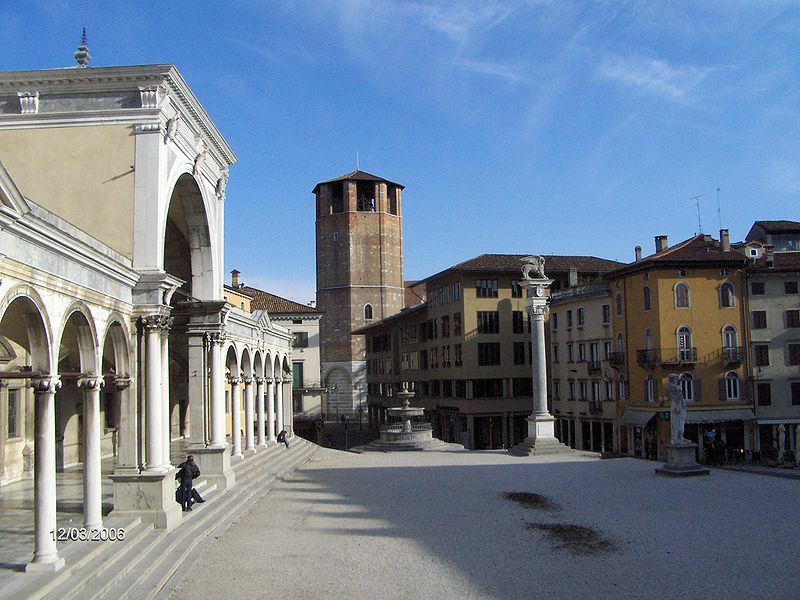 Udine's most attractive area lies within the medieval centre, which has Venetian, Greek and Roman influences. 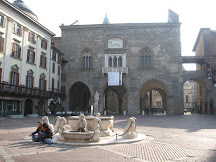 The main square, Piazza della Libertà, features the town hall, the Loggia del Lionello, built in 1448–1457 in the Venetian-Gothic style, and a clock tower, the Torre dell’Orologio, which is similar to the clock tower in Piazza San Marco - St Mark's Square - in Venice. 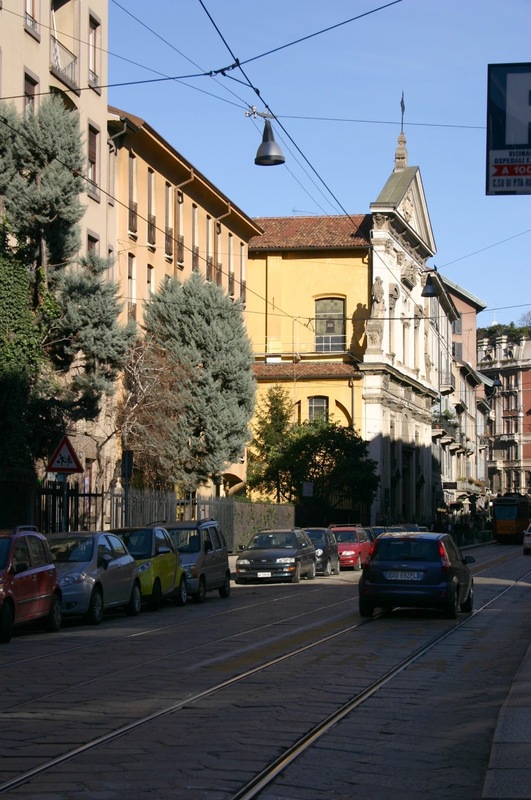 The church of Santa Maria al Paradiso is in the Ticinese district of Milan, about 1.5km (1 mile) south of the city centre, near the Crocetta metro station. 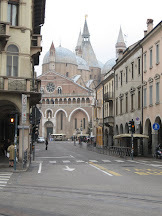 It was begun in 1590 for the Third Order of Saint Francis, after designs by Martino Bassi. 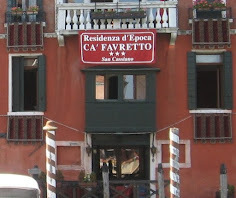 The facade, however, was only added in 1897 in a Neo-Baroque style by the architect Ernesto Pirovano. Ticinese is one of the oldest parts of central Milan. It takes its name from Porta Ticinese, a 16th century gate to the city rebuilt in the early 19th century with large ionic order columns. 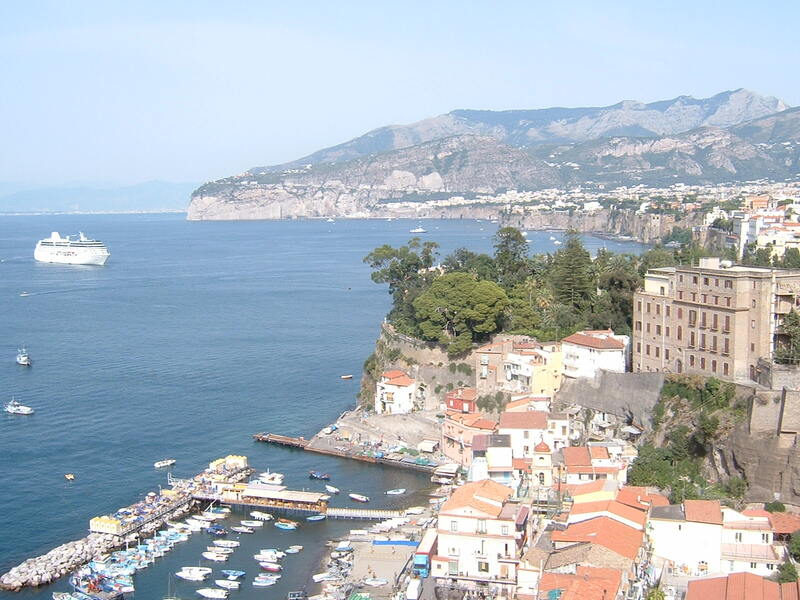 The area also includes the remains of a Roman amphitheatre and the basilicas of San Lorenzo and Sant'Eustorgio, and has a thriving nightlife with a large choice of bars and restaurants.